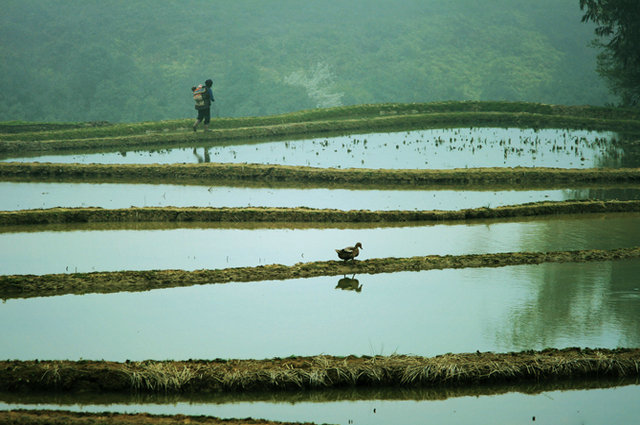 It is a journey for sightseeing and photography in the South China. You will dip yourself in all the amazing sights and experiences, from iconic landmarks to must-try eats, from flourishing cities to primitive ethnic villages, the most charming of which is a series of stunning terraces, unceasingly tempting you to lift up your camera. 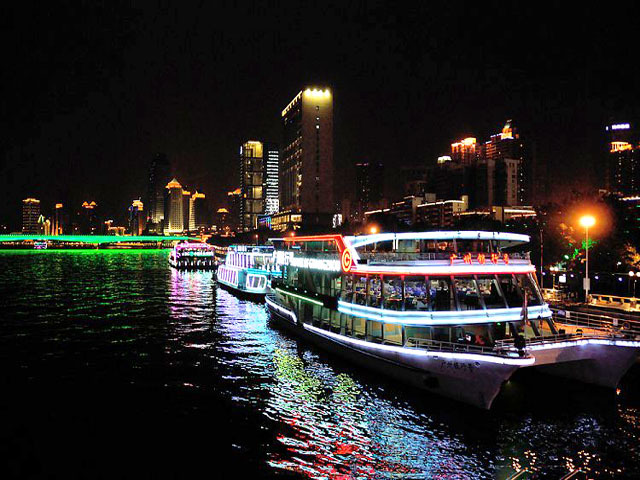 Enjoy a leisure night cruise along the beautiful Pearl River in Guangzhou. 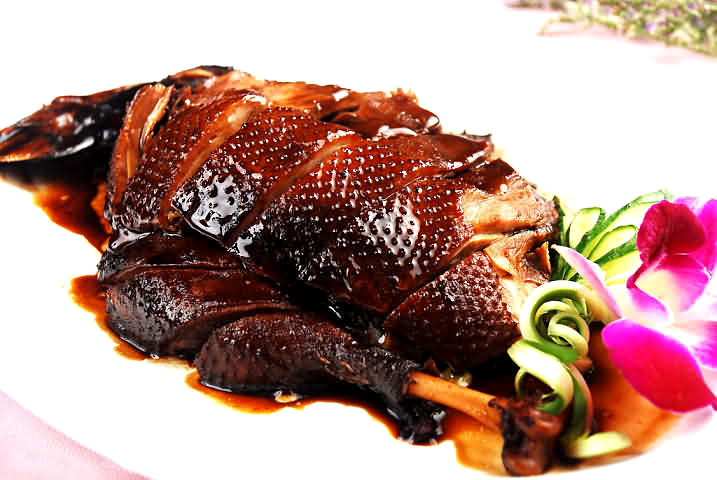 Have a taste of Yunnan featured dish, and the unique red wine produced in Yunnan Red Wine Village. Indulge yourself in the spectacular views of sunrise, sunset and sea of clouds on the extensive terraces. 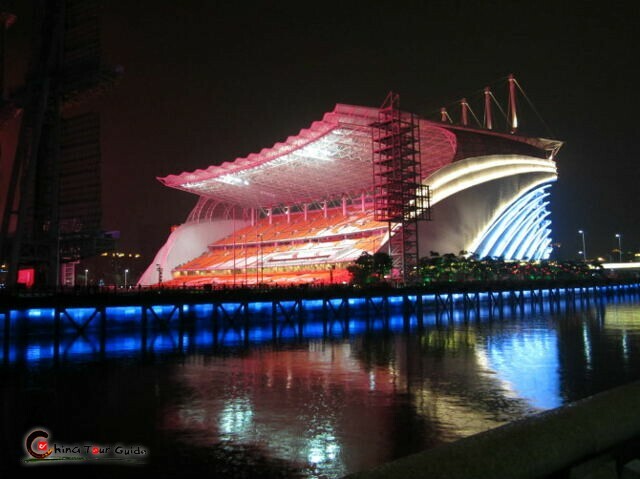 Today's Activities Upon arrival in Guangzhou, you are picked up at airport and transferred to the hotel for check-in. The rest of the day is free at your proposal. 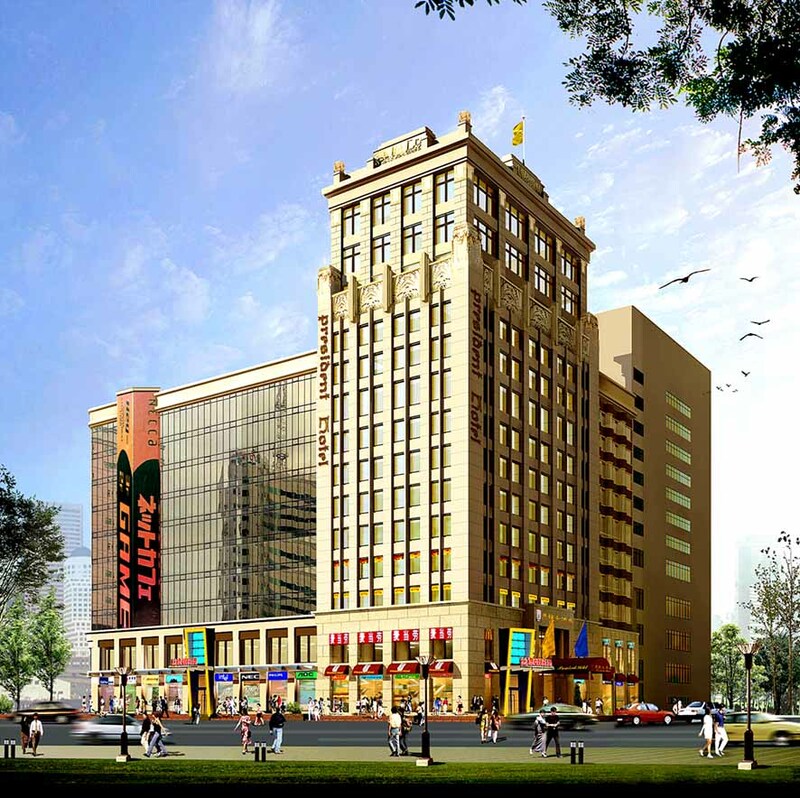 You can stay in hotel to remove the tiredness or wander around the nearby street to get acquaintance with this prosperous city. 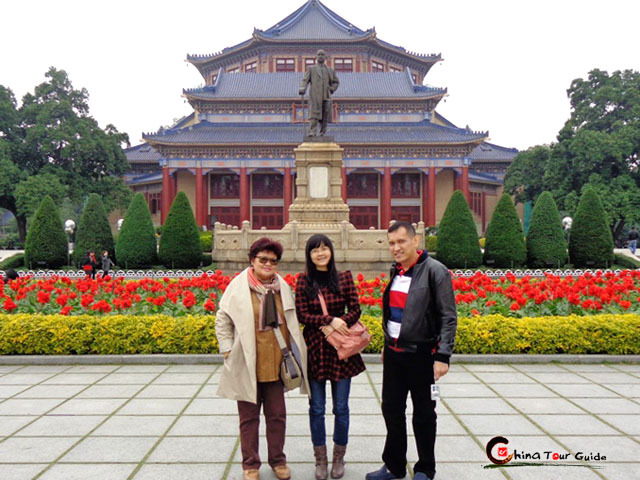 Today's Activities Morning hit Guangzhou for sights such as Sun Yat-sen Memorial Hall built for the memory of the Founding Father of China - Dr. Sun Yat-Sen, and Museum of Nanyue King, the oldest and largest tomb of Han Dynasty with the most funerary objects in South China, as well as Liurong Temple which boasts a very impressive 17 story pagoda - Flower Pagoda. 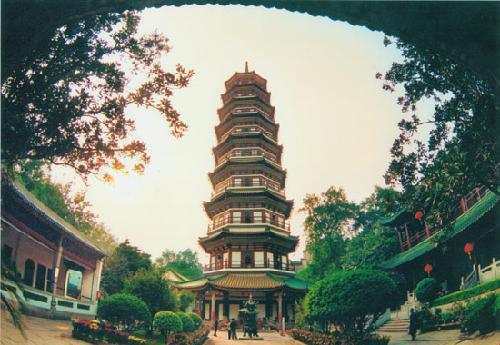 After lunch, visit Lichy Bay, where you can trace the history of Guangzhou by observing the traditional architectures of ancient styles. 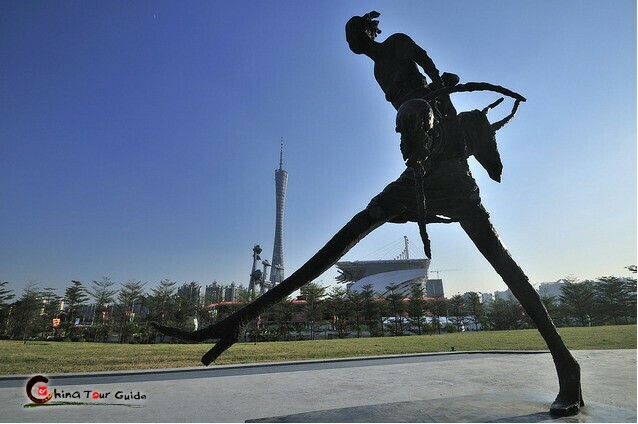 Then tour Zhujiang New Town to appreciate the impressive Huacheng Square and the ecological Haixinsha Island. 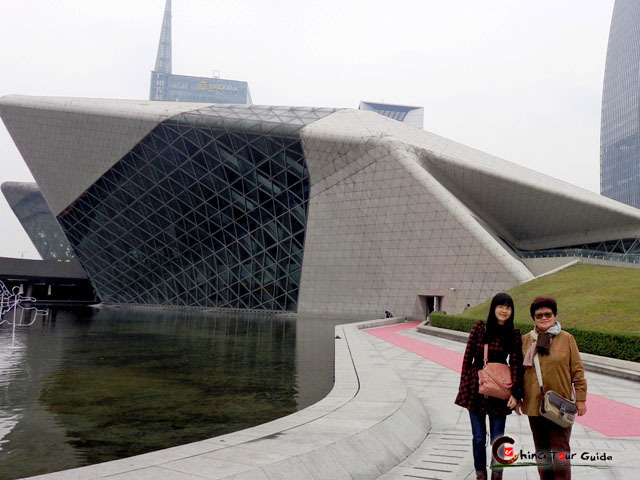 What’s more, you can view and take some photos of the unique constructions of the stunning Guangzhou Opera House and Canton Tower. 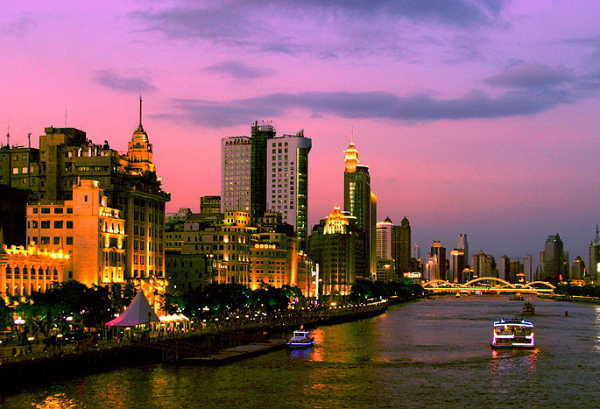 In the evening, enjoy a memorable Pearl River Night Cruise to catch a glimpse of the spectacular night view along Pearl River, and to have a taste of a buffet dinner. 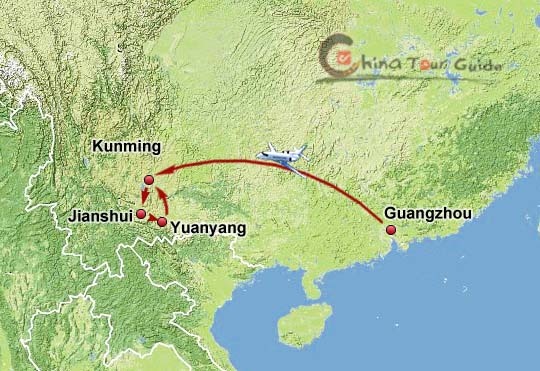 Today's Activities Take the flight to Kunming from Guangzhou. 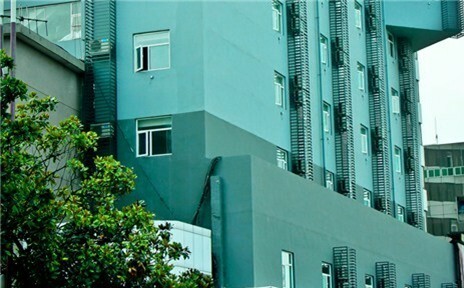 After pick-up at airport, you are transferred to the hotel for a short break. Then you can take a leisure stroll around the vibrant Flower & Bird Market, an excellent place full of exotic species of flowers and animals, plus jewels, antiques, ancient coins, and the distinctive art crafts, etc. 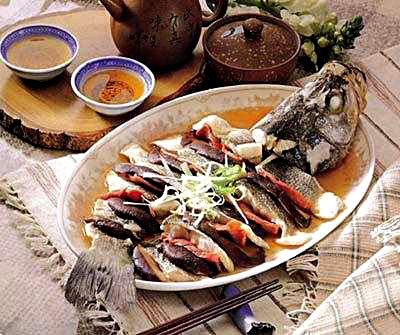 Guo Qiao Rice Noodles, the most famous dish in Kumming, is suggested for you. 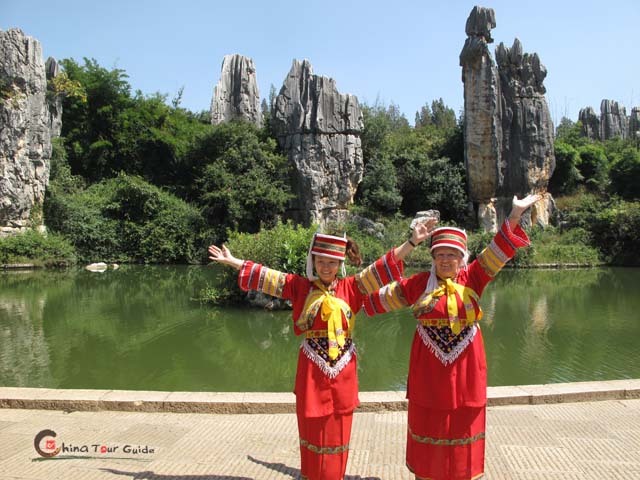 Today's Activities Morning drive about 1.5 hours to the World Geopark - Stone Forest with enchanting limestone, believed to be formed 270 million years ago. Enjoy a 2.5-hour tour to discover this nature wonder full of countless puzzle-like labyrinths and intricate stone formations. Mile is your next stop of this day tour, known as "the Kingdom of Hot Spring", "the Kingdom of Tobacco" and "Eden of Plateau Grape", where there are lots of superior carbonate water hot springs distributed throughout the area. Head to Mile Spa Resort and stay overnight there. Today's Activities Start this day tour from Yunnan Red Wine Village, where you can know about the colorful wine culture and have a taste of the delicious red wine. 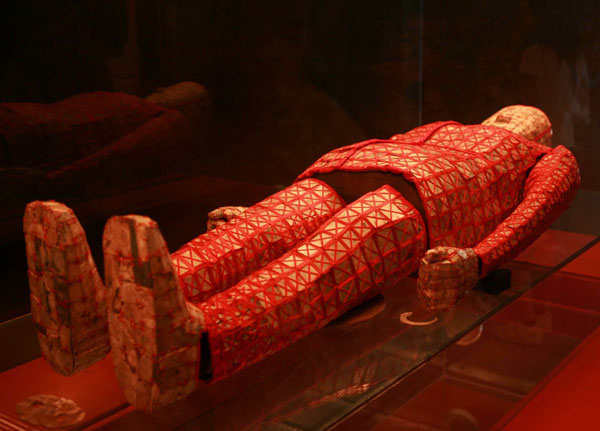 Then it’s time to head to Jianshui ancient town which remains generously historical and cultural relics such as numerous age-old civil residences and well-preserved ancient buildings. 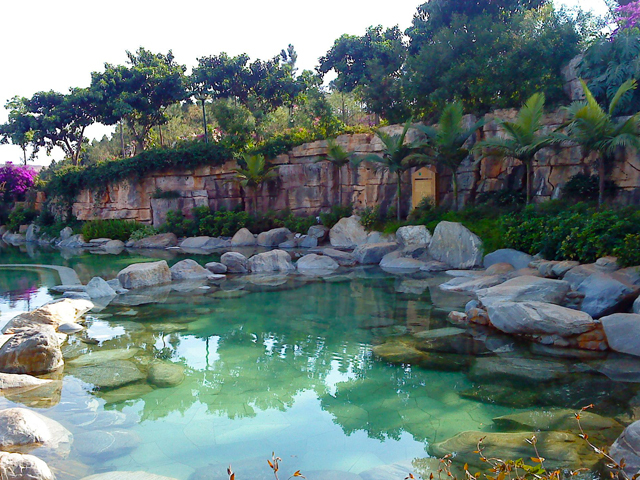 After lunch, visit Zhu’s Family Garden. 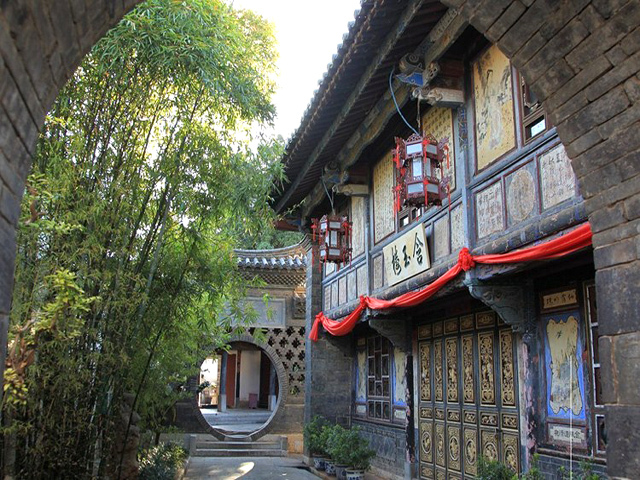 to catch a glimpse of the characteristic residential buildings in local architectural style built in the end of Qing Dynasty. 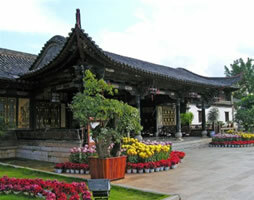 Confucian Temple, the biggest & best-preserved Confucius relic in China, is also on your visit-list. 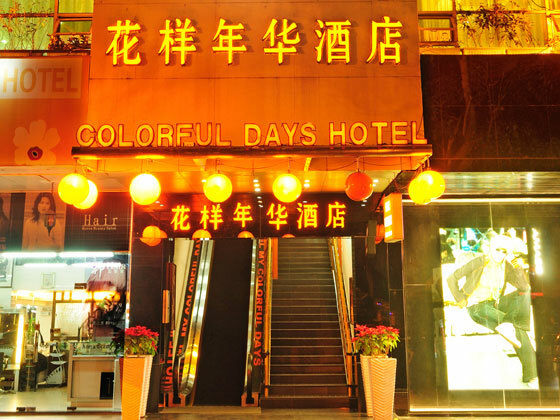 Stay overnight in Jianshui town. 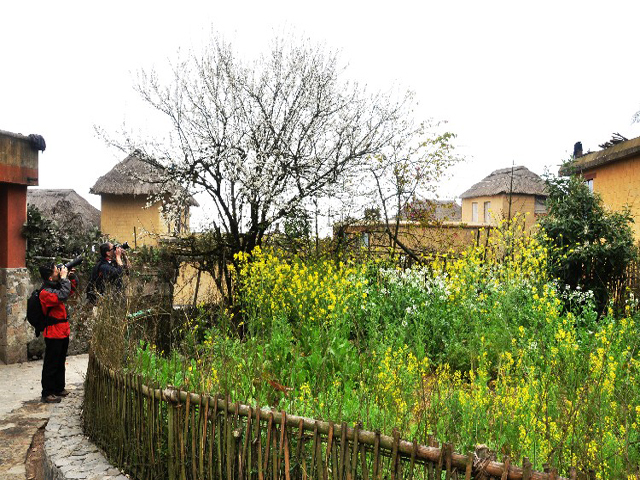 Today's Activities The first stop of this day is Tuanshan Village, home to 15 well-preserved traditional civil houses of Han nationality and 6 temples or joss houses which were built at the end of the Qing Dynasty. Afternoon drive about 2 hours to Yuanyang County, featuring its unparalleled terrace fields which were considered a unique man-made miracle on the earth. 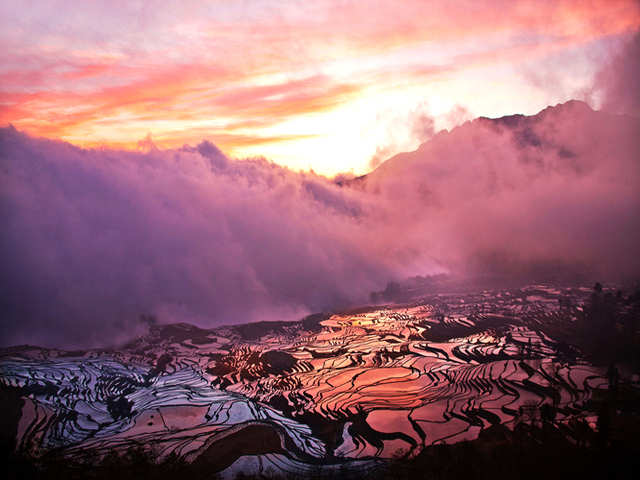 Transfer to Tiger Mouth Pass to appreciate and take pictures of the spectacular sunset view Tiger Mouth Terrace, the largest and most magnificent terrace in Yuanyang. It is a very good position from where you can overlook the extensive view of terraces. Under the sunshine, everything is sparkling and changing in different colors. Later turn back to the hotel in Yuanyang. Travel Tips The best time to take photos is after 4pm. There is a gazebo along the National Road 214, on which you could see the seemingly endless terraces weave across the mountains and valleys. You can walk down along the ridges in the fields to photograph the different faces and angles of it. 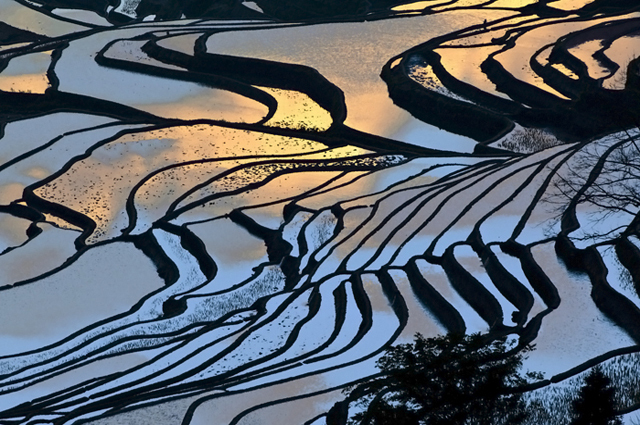 Today's Activities Wake up early this morning and head to Duoyishu Terrace to take in the beauty of the most breathtaking sunrise view in Yuanyang. Use your camera to record this dynamic scenic painting at dawn drawn by nature. 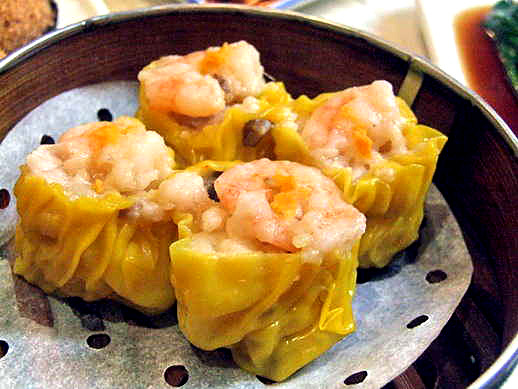 After lunchtime continue your photography tour to Bada Terrace and turn back to the hotel later. 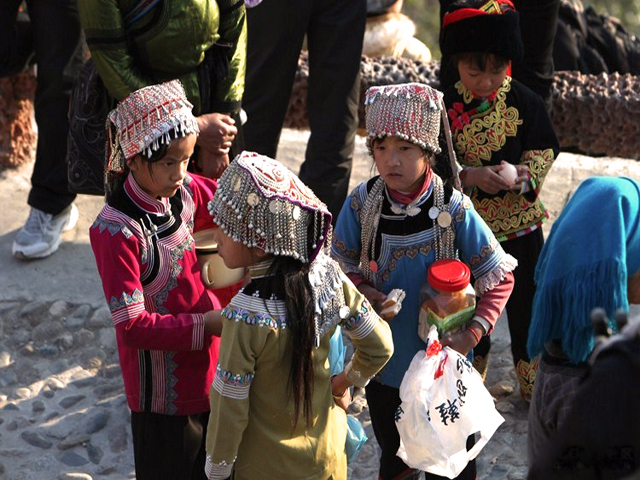 Today's Activities This day is highlighted by a visit to Qingkou Hani Ethnic Village inhabited by Hani People. Get a sense of natural beauty and unique customs, and record the primitive earthen buildings and daily life of locals by means of your camera. Appreciate the charming landscapes alongside on the way back to Kumming and spend your nightlife there. 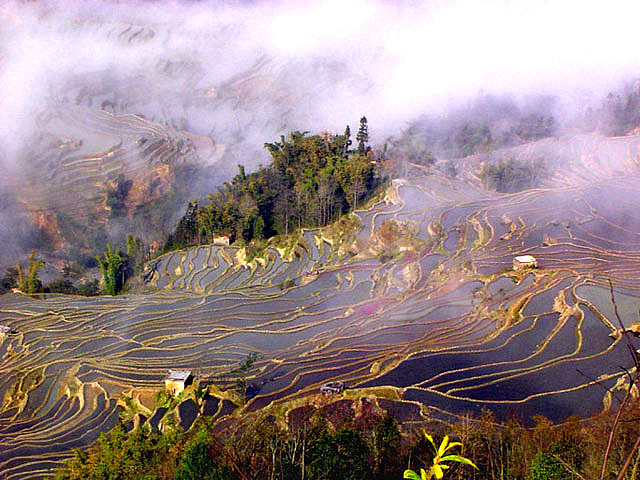 Travel Tips Surrounded by layers of terraces, Hani Ethnic Village offers very spectacular panoramic and perspective views for photography lovers, which can be shot near the National Road 214. Enter the village to take photos of mushroom houses and Hani customs. 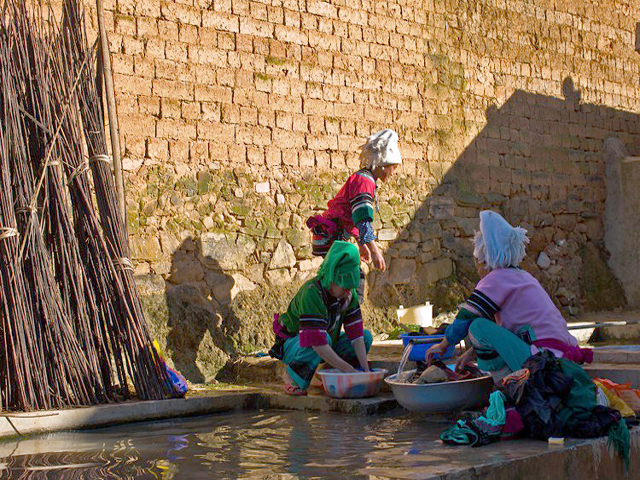 You can appreciate the distinctive shows of Hani People in the square, if lucky. 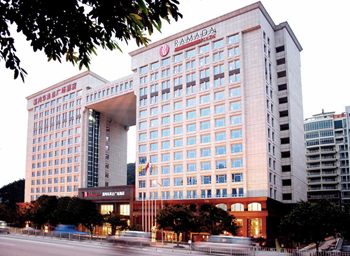 Today's Activities Enjoy a breezy good time for breakfast at hotel in the morning, we’ll see you off at Kunming airport, crowning your tour in China. At Zhu Family Garden Hotel in Yunnan, China you will discover your own Shangri-La... a distant and secluded hideaway of great beauty and peacefulness. A remote paradise on earth where harmony reigns, where the gods walk among the people, and where man and nature embrace. 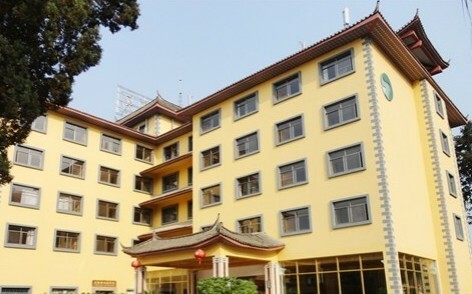 Yunti Hotel comes as the first choice of economical hotels in Yuanyang. 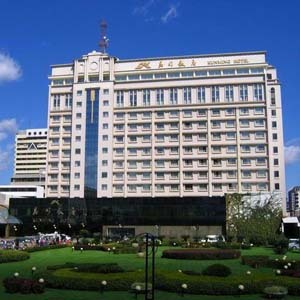 It provides the guests with all-around facilities and service at relatively low prices. Apart from center of Hani folk, the hotel still has access to one-stop shopping mall and recreational programmes. 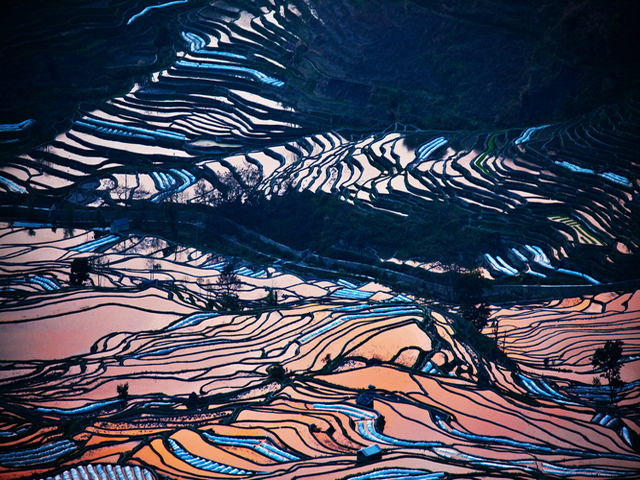 Moreover, located at the highest spot in Yuanyang, the hotel gives a marvelous view of the ancient town. 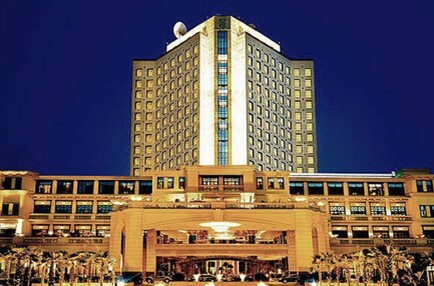 Concerning all the advantages mentioned above, Yunti Hotel is definately the best hotel in Yuanyang meeting multiple needs. 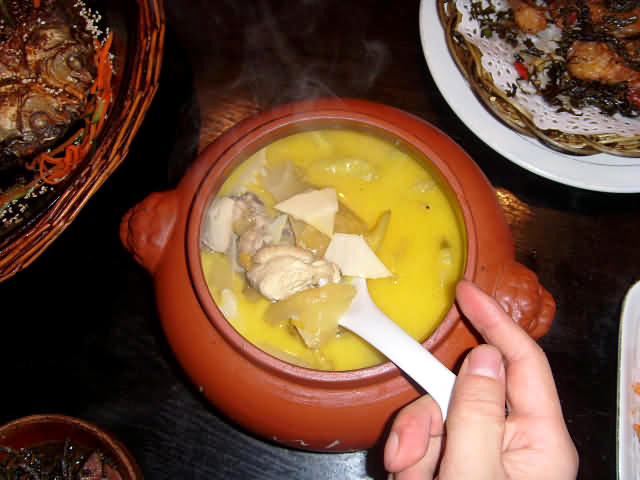 -- Cantonese Cuisine: Comparing with other Chinese cuisines, Guangzhou dishes use few thick spicy dressings in order to keep from masking the original taste of the food. Thank you. Everything is working out perfect so far. Your guides are very nice and the program fine.